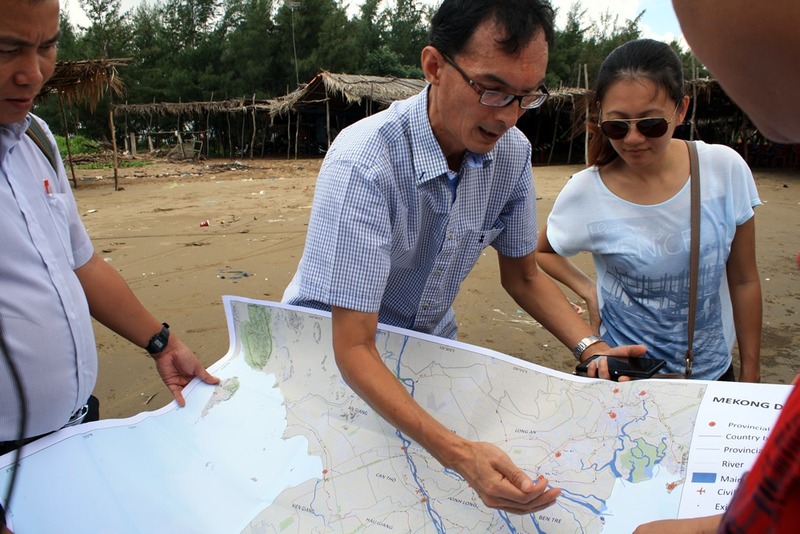 The DELTA Tools project aims to bring climate modeling, hydropower development projections, and land use change together with data on infrastructure investments to facilitate high quality decision making in the Mekong Delta. 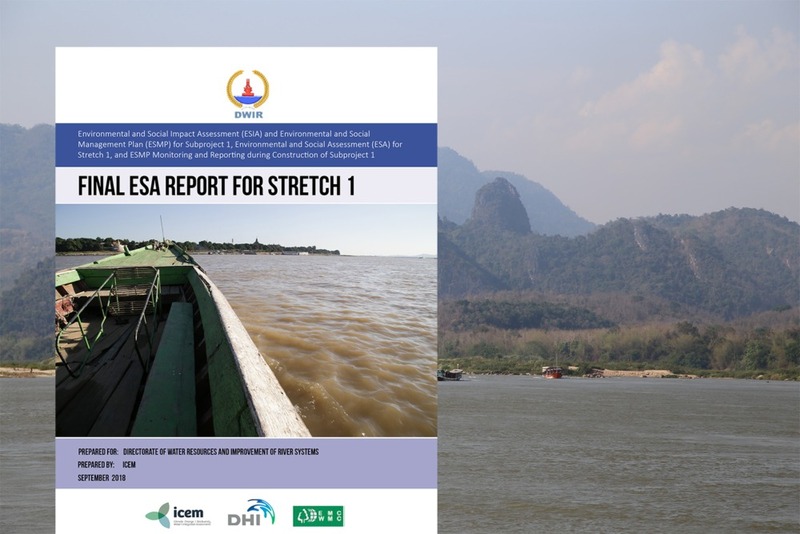 To better understand the Delta, its assets and its challenges, the project team undertook a 4-day field mission to the Mekong Delta Provinces of Ben Tre, Tra Vinh, Can Tho, Ca Mau, Kien Giang, An Giang and Dong Thap. 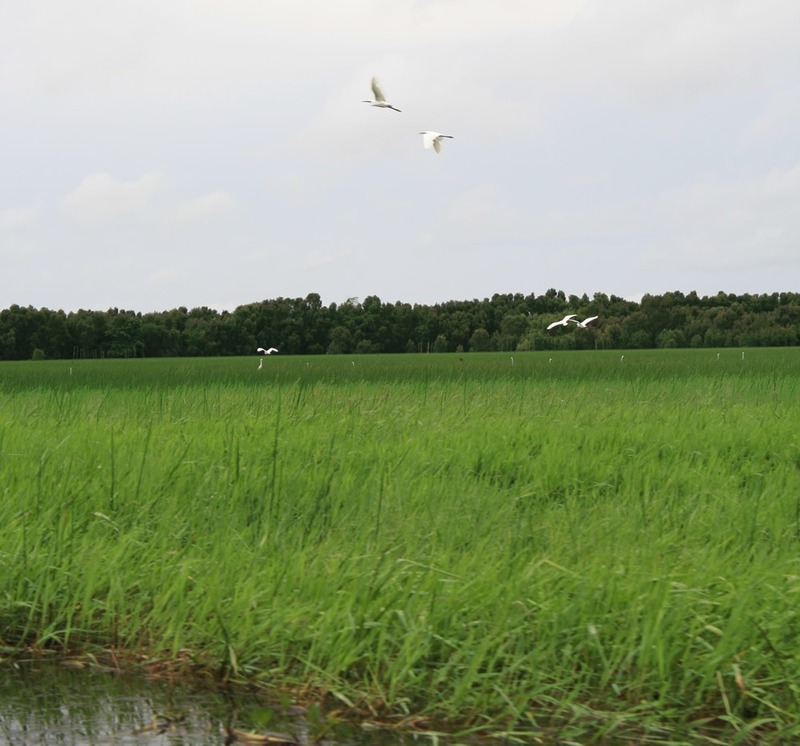 Sites visited included sea dyke systems at Hiep Thanh, Tra Vinh province and at Ganh Hao, Bac Lieu Province; intensive shrimp, mixed mangrove shrimp and mangrove restoration sites in Bac Lieu; sluice gates and floating rice cultivation along canals in An Giang Province; and Tram Chim National Park in Dong Thap Province. Andrew Wyatt from IUCN explains the system of sea dykes in Ben Tre province. Crab farming and shrimp fishing dominate the coastline. 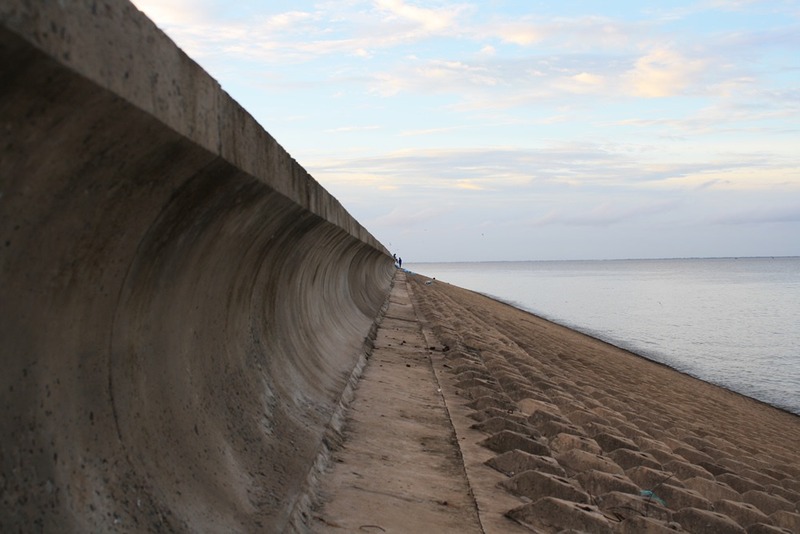 Sea dykes are erected to prevent the worst of the erosion and protect delicate farming ecosystems, but often the hard embankments only serve to move the erosion somewhere else. 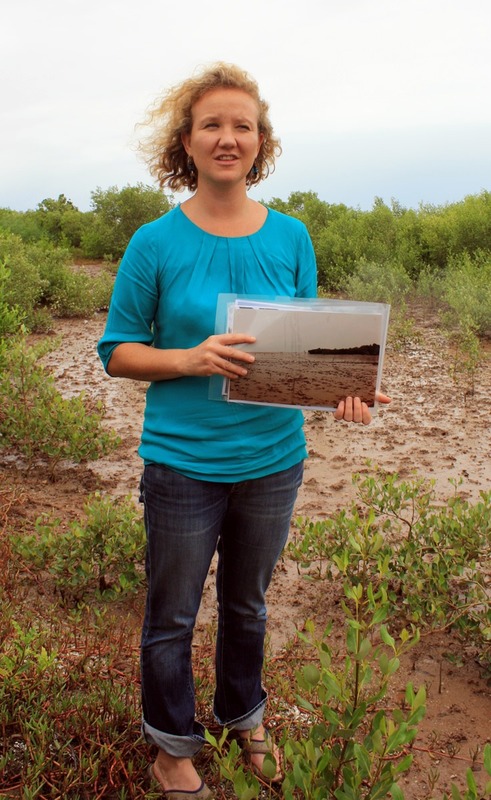 Lisa Steurer of GIZ explains how their project used canals and bamboo groynes to restore a mangrove forest. The canals help drain sea water while the groynes accumulate and protect sediment. The photo she holds displays the change in the area since the project began a year and a half ago. Buffer zones between dykes and economic zones are reserved for shrimp farmers who employ organic practices. Floating rice in An Giang grows to the height of the water during flooding season. 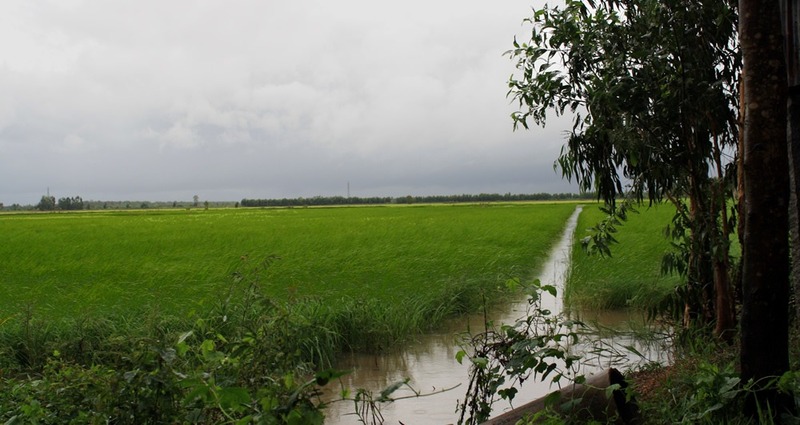 When the floods recede, the rice stalks fall over and reseed into the soil. Floating rice offers farmers an opportunity for extra income during the flooding season in areas where triple crop rice isn’t feasible. Tram Trim National Park is a Ramsar Site and acts as a bird sanctuary. Limited numbers of fishing licenses are granted to local communities as a benefit sharing tool.